The Exide 12/7 charger (12 V, 7 A) is a powerful modern charger – the perfect choice for fast, cost-effective charging for any battery up to 150 Ah. You can also use it for constant power supply or maintenance charging. A spare cable is included. 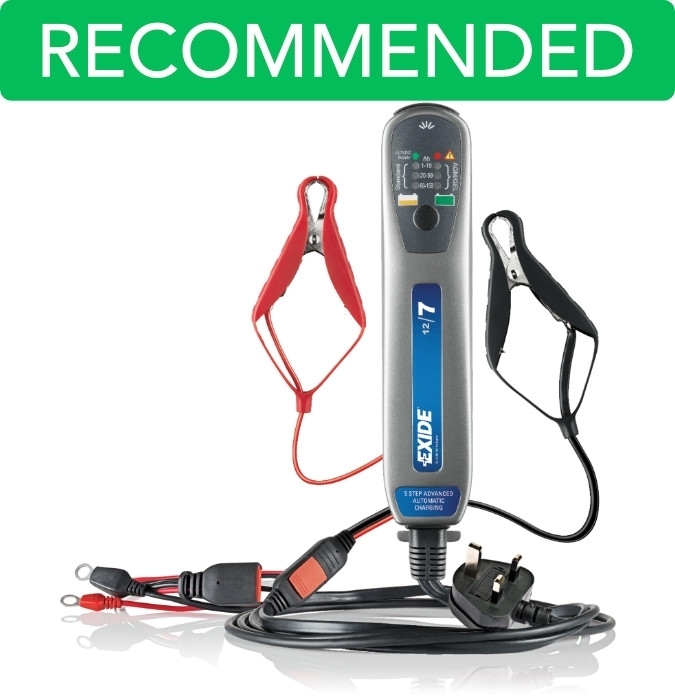 The Exide 12/7 provides optimum charging of standard batteries, as well as AGM and GEL. It is ideal for a broad range of applications, from car and motorcycle batteries to boat, caravan and tractor batteries.